i have been pretty productive lately. 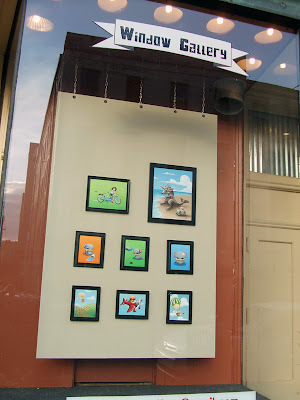 Last night i finished up the last pieces for the "Party Animals" show with Zach Kestermann. It's only a couple of weeks away, and it's refreshing to be ahead of schedule. Also, i will be sharing a booth with Zach at the Roebling Fest Art/Craft Show. It will be Saturday, June 25th from 11-6pm in Covington, KY at Roebling Point (Park Street between Court Street and Scott Street). Got the show hung last Friday. Zach Kestermann was a big help with the set up!! If you get a chance, stop by and see it. Here are some pictures to hold you over. Sadly, I did not get a picture of the windows at night. The artwork looks amazing all lit up at night. I will definitely need to make another trip down just get snap a picture! Yep. 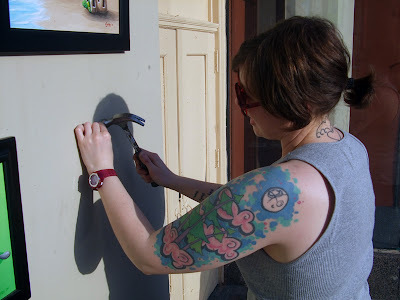 That's me doing some hammerin'. Zach actually did most of the work, but I helped. 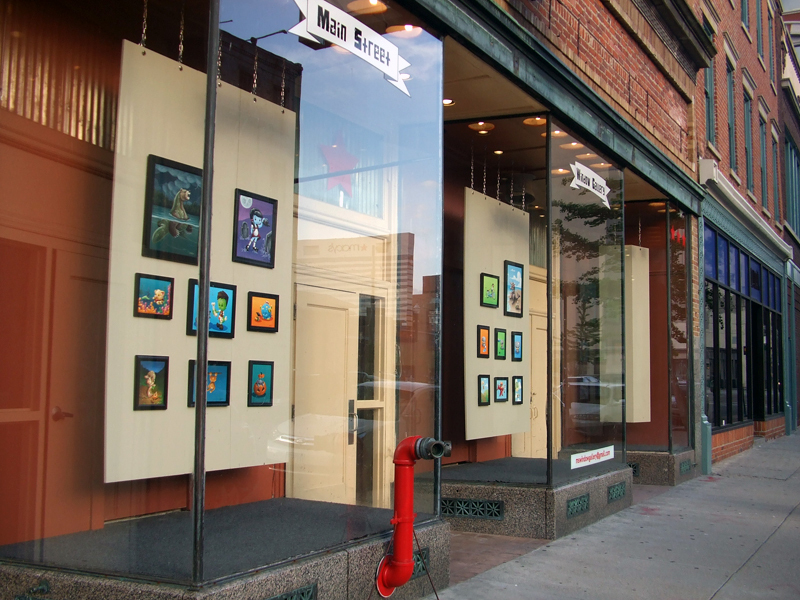 Tonight i will be setting up a show at Main Street Window-Gallery. 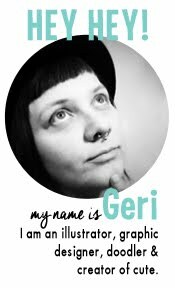 i'm putting up some oldies, but goodies. 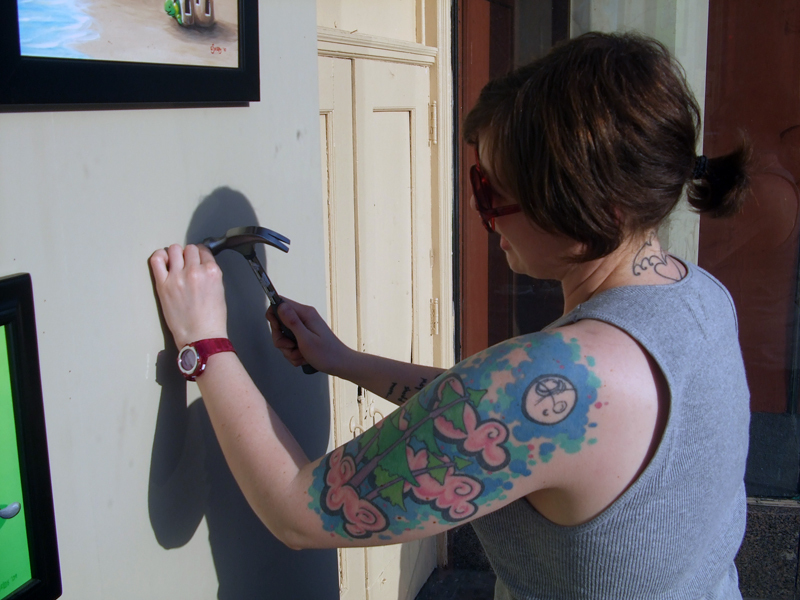 If you missed a previous show, now is your chance to see the paintings in person. 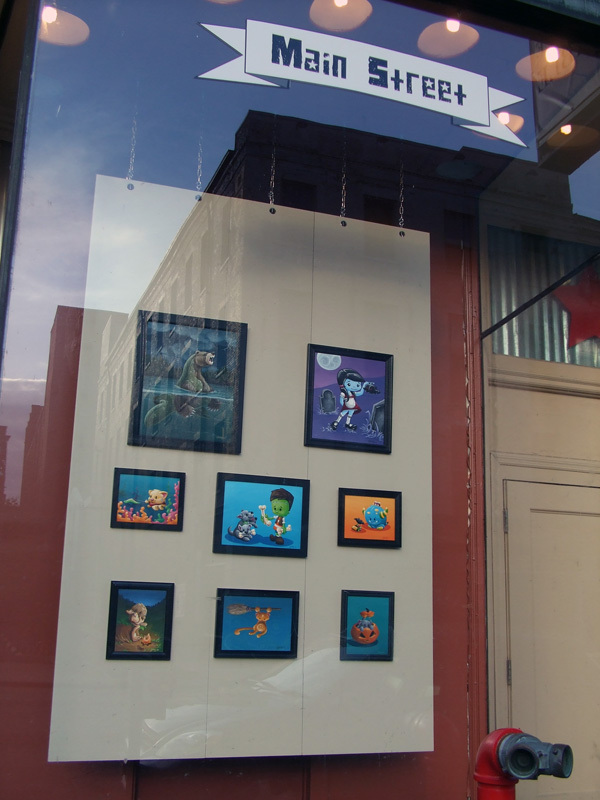 The gallery is located at 12th & Main in Over-the-Rhine, Cincinnati. The paintings will be displayed in the actual windows of the building, so you can view them 24/7. Stop by anytime! They'll be up all month! I'm finally getting around to having shirts printed. 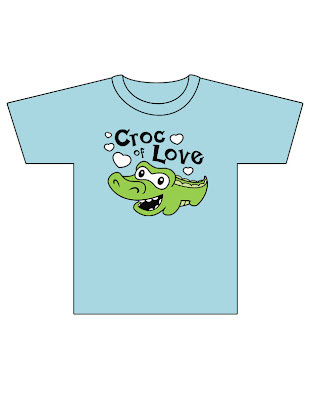 The first one ever will be the "Croc of Love" shirt. 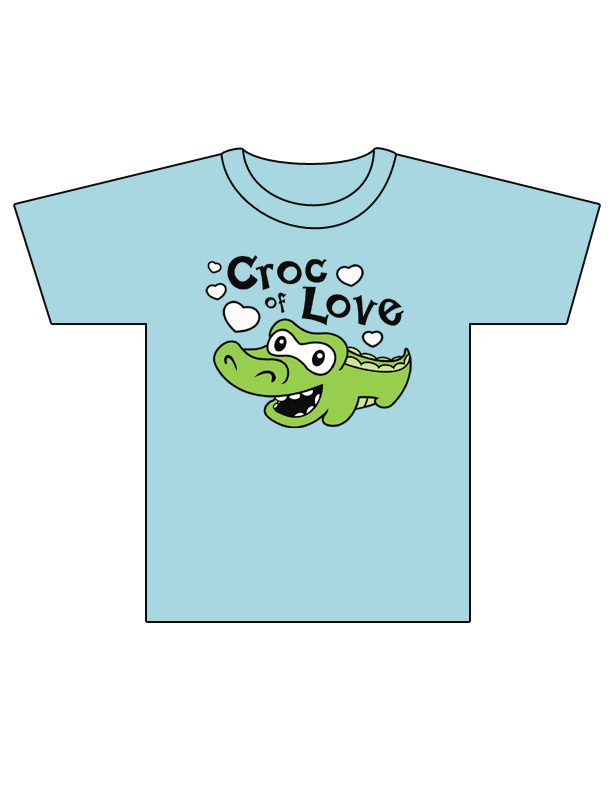 I'm currently waiting on proofs, then hopefully it won't be long til i receive the first run of the shirts. I'm excited! Here's a little sneak peek of what they'll look like.